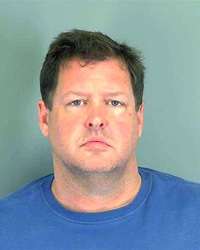 Last year, sheriff’s deputies from Spartanburg County, South Carolina, found Kala Brown chained by her neck in a shipping container on property owned by Todd Kohlhepp. Kala’s boyfriend, Charlie Carver, was dead. had shot him. And he wasn’t the only person Kohlhepp had killed. In May, Kohlhepp was sentenced to seven consecutive life terms in prison. He pleaded guilty to seven counts of murder, two counts of kidnapping and one count of criminal sexual conduct. The Independent Mail newspaper recently requested videos from the investigation, which were released. One of them is the video of finding Kala Brown in the shipping container. Disturbing video, other documents released in Kohlhepp case, on IndependentMail.com.